The world’s largest philosophy and music festival is currently in full swing – in a small market town in Wales. But HowTheLightGetsIn in Hay-on-Wye is “very Hackney”, I’m told. Take from that what you will. It’s certainly true that a number of the impressive line-up of speakers and musicians hail from – or at least have resided in – East London’s (not-so-humble) borough. According to its website the festival isn’t about “big names for big names’ sake,” though; it’s more about “ideas and wonder” and “the heretics of our time”. One of the most heretical names, then, to be speaking at this hub of thinking and questioning is Juliet Jacques – a Hackney resident no less. 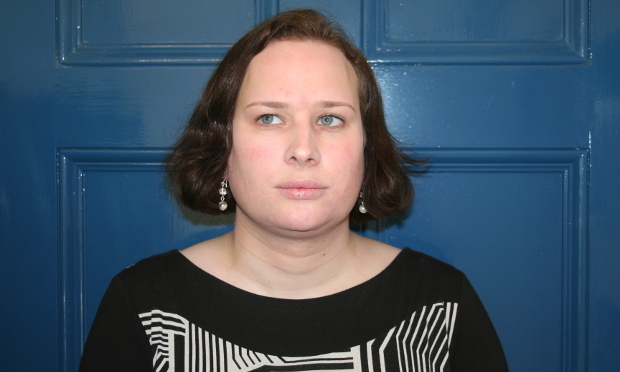 Jacques is a writer best known for writing the first serialised account of the gender reassignment process for a major British publication; in 2011 her Guardian blogs were long-listed for the Orwell Prize. Last year, her memoir and analysis of transgender politics – Trans – was published to great acclaim. “Being transexual has politicised my creative work,” says Jacques, but, though her gender has inspired some of her work, her journalistic interests range from politics, to film, to football, and she is currently studying for a PhD in Creative and Critical Writing. One of Jacques’s guiding principles is that “the personal is political”. In Hay on Wye she will be speaking at a debate entitled Strange Affects and Collective Emotions, which asks whether shared emotional worlds can be relevant – or even pivotal – in social and political change. It is clear which side Jaques will take – her own belief in the combined power of “the head and the heart” is unshifting. As a trans woman, Jacques has “an acute sense of the unfairness of the world”. Through the celebration of critical thinking – and the refusal to succumb to “anti-intellectualism”, which Jacques believes is “rife” – Jacques is of the opinion that festivals such as HowTheLightGetsIn hold “a genuine capacity for change”. The high-minded debates will no doubt entail some ground-swelling and mobilising ideas – but Jacques is already committed to living out her convictions, even in her local loyalties. One of her favourite things about Hackney, she says, is having “so many good venues and art spaces nearby”. HowTheLightGetsIn is hosted by the Institute of Arts and Ideas concludes on 5 June.